Eczema also known as atopic dermatitis is a chronic skin condition that involves irritated and itchy patches of skin. It is common in childhood, but may not manifest until later years. Children who develop eczema have dry and scaly patches appear on the scalp, forehead, face, cheeks, folds of the arms, the back of the knees, and wrists. No matter where it appears, eczema is often very itchy. Scratching can also lead to a skin infection. It is important to remember however that eczema and its symptoms are different for everyone. 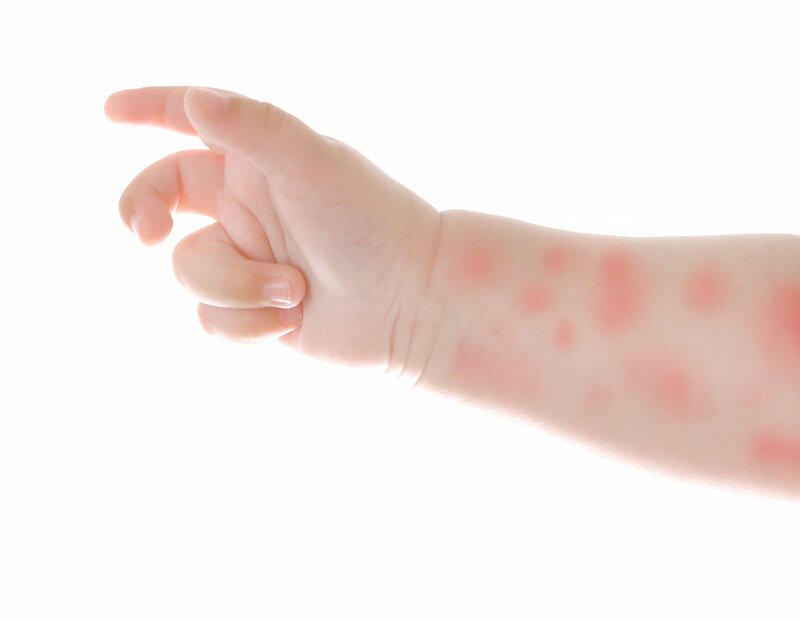 Eczema tends to run in families and is commonly associated with other conditions. When your skin gets too dry, it can become scaly or rough, which can make your eczema flare up. Irritants can be found in any product that you use on your body or in your home such as hand and dish soap, laundry detergent, shampoo, bubble bath, body wash, surface cleaners, or disinfectants. Even some natural liquids, like the juice from fruits or vegetables, can irritate your skin when you touch them. Materials in the environment can cause you to have an allergic reaction and trigger an eczema flare-up. Some of the most common are seasonal pollen, dust mites, pet dander from cats and dogs, mold, and dandruff. Many people with eczema will become itchy when they sweat or get too hot. During the colder winter months, your skin may also get too dry, which can lead to irritation and an eczema flare up. A treatment plan often includes medicine, skin care, and lifestyle changes. Skin care and lifestyle changes can help prevent flare-ups. Medicine and other therapies will be prescribed as needed to: control itching, reduce skin redness and swelling, clear infection, loosen and remove scaly patches. We can help control your eczema through a tailored treatment plan. To schedule an appointment, call 402-467-4361.